The Association shall be called the Wiltshire Table Tennis Association. 2.2.1. To act as the controlling and governing body for the game of Table Tennis in the County Wiltshire, subject to any overriding decisions of the National Council of the English Table Tennis Association Ltd.
2.2.2. To assist and encourage the formation of Table Tennis Leagues and Clubs in the County of Wiltshire and to promote the game in every possible way. The area of jurisdiction of the Association shall be the County of Wiltshire as defined by the Rules of the E.T.T.A.Ltd. 4.1.1. 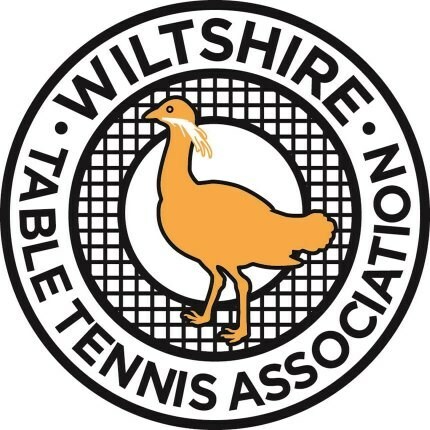 The Association:- The Wiltshire Table Tennis Association. 4.1.2. E.T.T.A.Ltd:- The English Table Tennis Association Ltd.
affiliated clubs. Directly affiliated individuals, committee members of affiliated local leagues and this Association. 4.1.4. National Council: The National Council of the E.T.T.A Ltd.
4.2 Words and phrases defined by the Rules of the E.T.T.A.Ltd., and not otherwise defined by these Rules shall have the meaning assigned to them by the Rules of the E.T.T.A.Ltd. 5.1.1. President, Vice-presidents, Honorary Life Members, duly elected Officers and duly appointed Officials. prescribed by the National Council (except such as shall be granted exemption by the E.T.T.A.Ltd). 5.2.1. All organisations within the jurisdiction of the Association which are in Good Standing with the E.T.T.A.Ltd. 5.2.2. All County or Regional Associations or organisations covering the area or part of the area of jurisdiction of this Association which are part of or affiliated to National Associations or organisations in Good Standing with the E.T.T.A.Ltd. 5.2.3. The County Schools Table Tennis Association and Schools Leagues and Schools Clubs within the jurisdiction of the Association except such as may be affiliated. 6.1 Affiliation to the Association shall be compulsory for all Local Leagues, Directly Affiliated Clubs and Directly Affiliated Individuals in the County unless exempted by a decision of the National Council. Note: an E.T.T.A.Ltd Honorary Life Member is not obliged to affiliated to a County Association or pay an affiliation or similar fee to it. 6.2 Application: Every applicant for affiliation shall complete the current affiliation form and shall sign it on behalf of himself or of the league or Club on whose behalf the application is made. 6.3 A club or individual not directly affiliated to the E.T.T.A.Ltd., MAY APPLY TO BE DIRECTLY AFFILIATED TO THE association provided that it or he is affiliated to the E.T.T.A.Ltd through another body. 6.4 Every Local League and Directly Affiliated Club shall send to the General Secretary of the Association not later than 31st October each season a copy of its current Rules. 6.5 No person or body may affiliate to the Association unless affiliated to the E.T.T.A.Ltd. 7.1 The Affiliation fees per season shall be fixed by the Annual General Meeting. 7.2 Date for payment: Affiliation Fees shall be paid on or before 1st November each season to the Treasurer of the Association. Championship Secretary, Umpires Secretary, Coaching Officials and any other Officials as deemed necessary at the Annual General Meeting. 8.2 Election: The Officers and Officials shall be elected by the Annual General Meeting, and shall serve from the end of the meeting at which they were elected, until the end of the Annual General Meeting following. They shall be eligible for re-election. 8.3.1 Between 1st May and 15th June each season the Management Committee shall elect a National Councillor, and may elect a Deputy National Councillor, to represent the County for the following season, after considering all nominations submitted to them by Members of the Association. 9.1 The affairs of the Association shall be managed by a Management Committee consisting of (1) The Officers; (2) The person representing the Association on the National Council and (3) One representative appointed by each Local League. 9.2 Co-option: The Committee shall have power to co-opt not more than two other Members of the Association. 9.3 Casual Vacancies: The Committee shall have power to fill a vacancy in any Office or on the Committee until the next Annual General Meeting. 9.4 Meetings: The Committee shall meet at least once every two months during the playing season. 9.5 At least seven days notice in writing of the place, date and time of every meeting shall be sent to every member of the Committee, unless previously notified. 9.6 Quorum: The business of the Committee may be transacted by not less than four members, which must include at least two Officers. 9.7 Chair: In the absence of both Chairman and Vice-Chairman the Committee shall elect one of its members to take the chair for the meeting. 9.8 Voting: Every question at a meeting of the Committee shall be determined by a majority of the members present and voting, every member having one vote. In the case of an equality of votes the Chairman of the meeting shall have a second or casting vote. 9.9 Regulations: The Committee shall have power to make Regulations to cover such matters not specifically dealt with in these Rules as they think fit. 1) Umpiring (Meetings of this sub-committee shall be convened by the Umpires Secretary). 9.11 Sub-Committees: The Committee may delegate any of its duties and powers to sub-committees consisting of such persons as it shall decide, provided that at least two members shall be members of the Committee. Any sub-committee shall, in the performance of its duties, conform to the terms of reference laid down by the Committee. Unless decided otherwise by the Committee, the Chairman of a sub-committee shall be responsible for reporting to the Committee. 10.1 Date: Each season the Association shall hold an Annual General Meeting during the month of June. 10.2 Notice: To call the Annual General Meeting, the General Secretary shall give at least fourteen (14) days notice in writing of the place, date and time, together with the Agenda, to the President, Vice-presidents, Honorary Life Members, Officers and to the General Secretary of each Local League and Directly Affiliated Club and to each Directly Affiliated Individual. 10.3 Accredited Representative: Each Local League shall appoint one Accredited Representative to attend each General Meeting who shall hold an official Accredited Representative’s card signed by the General Secretary of the Local League. Only the Accredited Representative shall be entitled to cast his league’s votes, subject to the application of Rule 10.6. (1) Minutes of the previous A.G.M. (2) Minutes of any S.G.M. held since the previous A.G.M. (6) Motions of which the General Secretary has received notice in writing not later than twenty eight (28) days before the date of the meeting. (7) Election of Vice-presidents, etc. 10.5.2 Motions not included in the Agenda shall not be voted upon, except with permission of the Chairman. 10.6.1 Each Officer shall have one vote. 10.6.2 Each Official shall have one vote. membership of that League, subject to the operation of Rule 10.6. 10.6.4 Each Directly Affiliated Club shall have one vote per team. 10.6.5 Each club in membership of a local league which has given notice of its desire to vote at the General Meeting in question shall have one vote per team for the purpose of Rule 10.6.3, a local league shall not be entitled to a vote in respect of any such club. 10.7 Special Majority: No resolution altering the Rules of the Association shall be declared carried unless at least two thirds of the total votes cast are in favour of the resolution. 10.8 Fine for non-attendance: Any Local League not represented at the A.G.M. by an Accredited Representative shall be fined the sum of five pounds (£5). 11.1 A Special General Meeting shall be convened on a resolution of the Management Committee or within twenty eight (28) days of receipt by the General Secretary of a requisition signed by the General Secretaries of at least half the affiliated Local Leagues, stating the business to be transacted at the meeting. 11.3 A Special General Meeting shall transact only such business as is specified in the resolution or requisition convening it. 12.2 Cheque Signatories: All cheques etc. drawn on the Bank Account shall be signed by any two of the duly elected – Chairman, Vice-Chairman, General Secretary and Treasurer. 12.3 The Financial Year of the Association shall end on 31st May. 12.4 Auditors: The accounts of the Association shall be audited each season by the Auditor elected by the A.G.M. In the event of the winding up or dissolution of the Association, any surplus assets remaining after discharge of liabilities shall automatically vest in the E.T.T.A.Ltd, who shall hold them for a period of six years in trust to pay them to any organisation set up with objects identical or similar to those of the Association (the E.T.T.A.Ltd during such period making every endeavour to promote and encourage the formation of such an organisation) and thereafter for the general purposes of the E.T.T.A.Ltd. 14.1 Any member or affiliated club aggrieved by a decision or action of a Local League, or a Committee, Officer or official of such League, or by neglect or refusal to do something which such organisation, or person is under a duty to do, may appeal against such decision, action, neglect or refusal to this Association whose proper decision shall be final and binding on all parties. 14.2 The Association shall not have power to reserve a decision or action which is in accordance with the rules of the Local League unless it constitutes a breach of the Rules or Regulations of this Association or of the E.T.T.A.Ltd or of the principles of natural justice. 14.3 Any such appeal shall be made in writing to the General Secretary within twenty one (21) days of notification of the decision or action appealed against, and shall be accompanied by a fee of two pounds (£2) in the case of an individual or five pounds (£5) in the case of an organisation, which shall be returned if the adjudicating body consider the making of an appeal to have been justified (whatever the result). 15.1 A Member shall not do or cause to be done anything deliberately harmful to the Association nor likely to bring the Association of the game of Table Tennis into disrepute. 15.2.2 refuse or neglect to answer any question put to him in connection with such allegation or appeal if directed to answer by the Chairman of the adjudicating body. 16.1 For a breach of this Association’s Rules or Regulations the Association shall have power to suspend any Local League, club, player or official within its jurisdiction, under the power created by the E.T.T.A.Ltd Rules and subject to the right of appeal provided by such Rules. 16.2 The E.T.T.A.Ltd General Secretary shall be notified of any suspension under this Rule. 16.3 Such suspension shall be enforced by all bodies in this County, but shall operate only within the jurisdiction of this Association, the suspended person or body being deprived of the privileges of membership of or affiliation to this Association and any Local League or Directly Affiliated Club affiliated to this Association, but not of the privileges of membership of or affiliation to the E.T.T.A.Ltd enjoyed outside the jurisdiction of this Association. 17.1 The Disciplinary Committee shall deal with any allegation under Rule 17.2 or breach of Rule or Regulation of this Association. 17.2 Any allegation referred to in Rule 17.1 must be made in writing to the General Secretary specifying the Rule or Regulation alleged to have been broken, the name of the Member or organisation alleged to be in breach and the date and place of the alleged breach. 18.1 Any Member, affiliated club or Local League aggrieved by a decision or action of this Association, or a Committee, Officer or official of this Association (except the proper determination of an Appeal), or by the neglect or refusal to do something which this Association or such Committee, Officer or official of this Association is under a duty to do, may appeal against such decision, action neglect or refusal to the E.T.T.A.Ltd Board of Appeal. 18.2 Any appeal under 18.1 shall be made in writing to the General Secretary of the E.T.T.A.Ltd within twenty one (21) days of notification of the decision or action appealed against, and shall be accompanied by a fee of five pounds (£5) in the case of an individual of fifteen pounds (£15) in the case of an organisation, which shall be returned if the adjudicating body consider the making of an appeal to have been justified (whatever the result). received shall be circulated to all Local Leagues, Directly Affiliated Clubs and Directly Affiliated Individuals affiliated to the Associated by April 14th, and amendments or alternative proposals dealing with the same subject matter shall be accepted for consideration by the A.G.M., if submitted in writing and received by the General Secretary not later than 1st May. 20.3 Proposals for such changes to be considered by a Special General Meeting shall be submitted to the General Secretary in writing together with the requisition for the Special General Meeting. 20.4 Before any resolution altering these Rules shall be declared carried, at least two thirds of the total votes cast must be in favour of that resolution. 20.5 The Rules of this Association are subject to the approval of the E.T.T.A.Ltd. 21.1 The President shall be nominated by the Management Committee. 21.2 Vice-presidents shall be proposed at the A.G.M., or by nomination from affiliated Leagues. 21.3 Life Vice-presidents shall be nominated by the Management Committee. Honorary Life Members shall be nominated by the Management Committee for services rendered to the Wiltshire Association. Emergency powers shall be vested in the Officers of the Association. These shall be drawn up by the Management Committee. A player may be awarded a County team badge after representing the County in a minimum of five (5) matches. Such an award shall be at the discretion of the Committee, following a recommendation from the Team Secretary. A player shall be eligible to play table tennis for Wiltshire by qualification under the current County Championships Regulations.